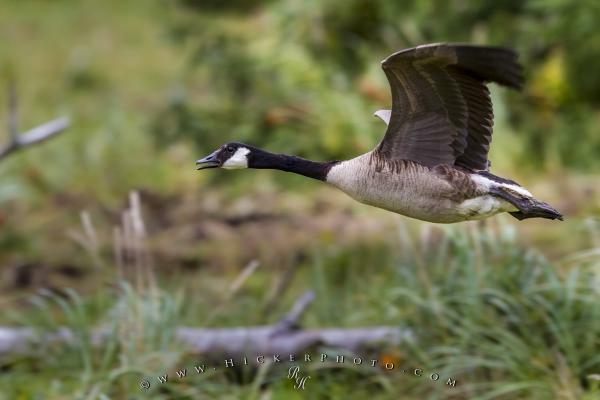 An action shot of a Canada Goose flying low along the water edge in Knight Inlet, British Columbia, Canada. A spectacular shot of a Canada Goose (aka Branta canadensis) in mid flight along the coastline of Knight Inlet, BC, Canada. Giant Canada goose (Branta canadensis maxima) in flight, Knight Inlet, British Columbia, Canada. Picture of a flying Canada Goose in British Columbia, Canada.